Run Selenium tests in the cloud on over 800 browser and operating system configurations without the hassle of maintaining infrastructure. 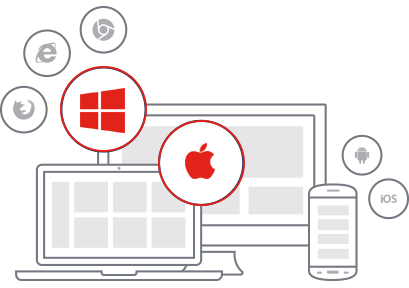 As the co-developers of Selenium, our team maintains the most up-to-date and reliable platform for web testing. Test securely knowing that our experts can help your organization build their test automation strategy. 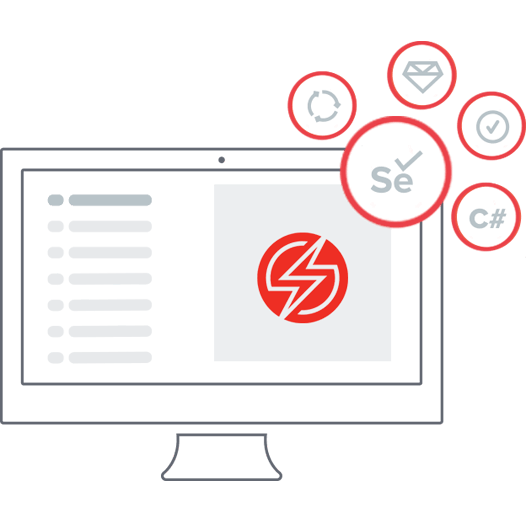 Your Selenium tests are run in real browsers in our secure data center on a real operating system in a dedicated, single-use VM. After the test run, the VM is completely destroyed, ensuring security because your data is never exposed to future sessions. You can also test local and firewalled apps while maintaining control over proxy and access policies using Sauce Connect Proxy, our secure tunneling technology. Leave the hassle of setting up and maintaining your testing infrastructure - not to mention the drudgery of keeping up with the latest versions of each browser, device and OS - to Sauce. Free up developer time to do more things that matter - like write code, test, and accelerate your releases. Write tests in the most popular languages, including Java, Ruby, Python, PHP, Node.js, or C#, using any test framework. Run tests from your CI system or straight from the command line, the same way you’d run them locally. Specifying the platform configurations you want to run tests on is as easy as setting the desired capabilities for your tests. 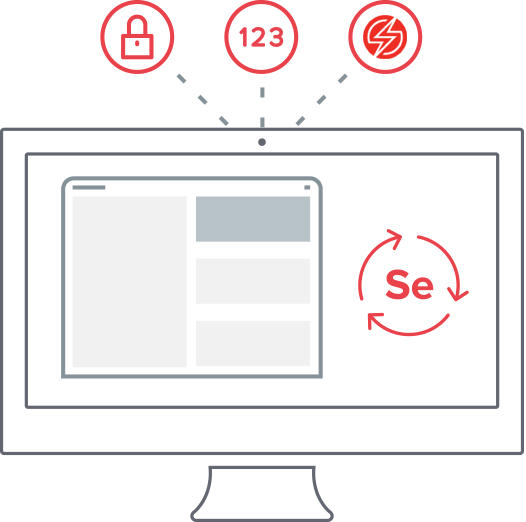 We automatically use the latest and most stable version of Selenium, but you can set whatever version you’d like to use in the desired capabilities. See our Test Configuration documentation for a complete list of the many options and features available when testing on Sauce.